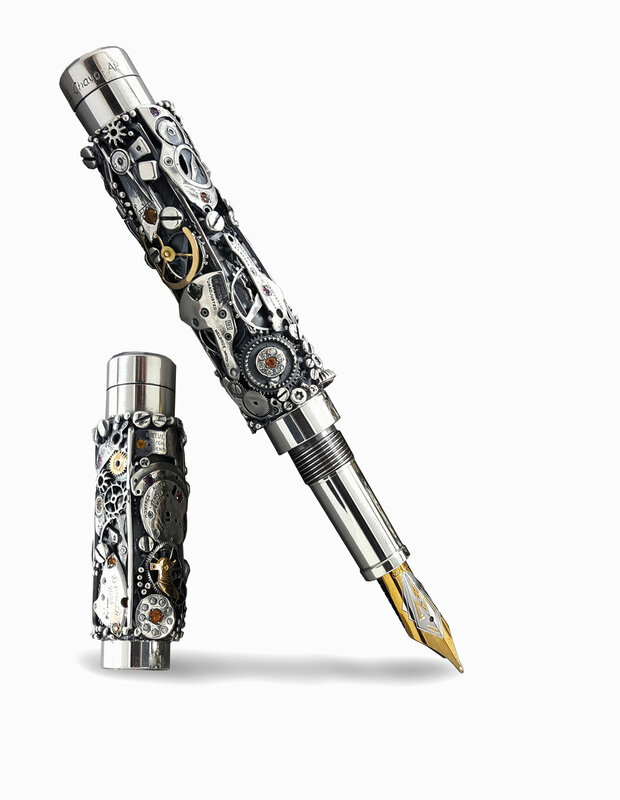 Crafted to incite inspiration and adoration, the Chushev limited edition writing instruments are true specimens of fine craftsmanship. The concepts instilled within the designs are rich and stem from age old civilizations to revolutionary art movements. Using only the highest grade materials guarantees each piece’s integrity and longevity.The processes employed combine both ancient techniques and the most modern technology, thus ensuring both impeccable aesthetic and outstanding functionality. As each piece is expertly crafted by hand, no two pieces are perfectly identical. These slight variations in the design allow you to consider a Chushev fountain pen, your very own.